Adopt-a-Thon Feature: The sky is the limit for Lucy! We put out an urgent plea earlier this month to you to help us find homes for the sheer number of cats and kittens in our care. We asked you to adopt, foster and/or advocate and your response has been quite simply moving! Our sights are still firmly set on 222 adoptions by the end of March and we know you can help us achieve this. To continue inspiring you, we will over the coming weeks share Adopt-A-Thon adoption stories with you. It’s hard not to have The Beatles classic ringing your ears when you meet little Lucy in person. Her effervescent personality and soothing presence has the power to put an instant smile on any dial. Luck for Lucy however, wasn’t always on her side. We first met Lucy in late February when she was brought into our care at our North Melbourne Shelter by a member of the public. 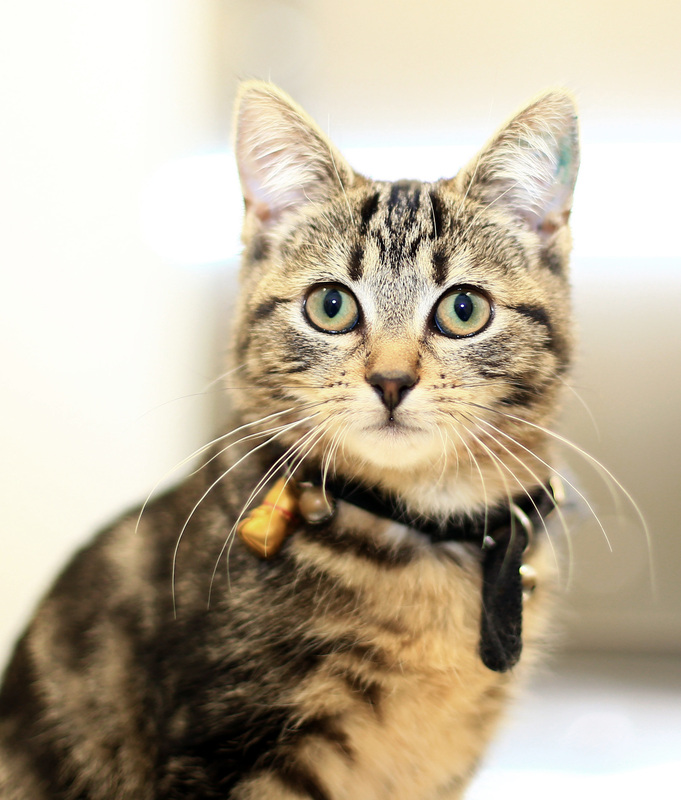 She was not identified with a collar tag or a microchip and was approximately four months and three weeks old at the time. 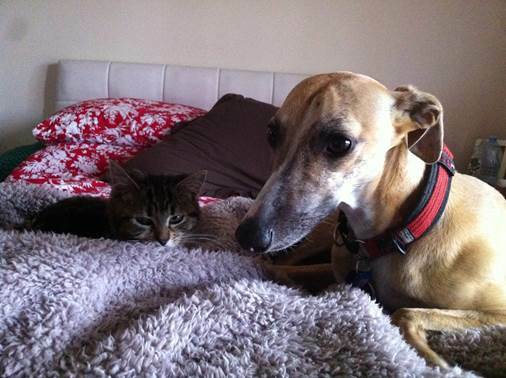 Like all animals who come into our care, Lucy was placed on a mandatory eight day wait period to be claimed by her owner. During this time Lucy was given pain relief, while her bladder and bowels were monitored closely. Lucy was not claimed after her waiting period and was immediately x-rayed which revealed she did indeed have a dislocated tail. To preserve the kitten’s health and wellbeing in to the future, our vet team decided an amputation of the tail was necessary. Lucy bounced back terrifically following her surgery and did not exhibit any difficulty with movement. Dr Bolton said she was desexed, microchipped, vaccinated and given flea and worm treatments before being placed up for adoption. 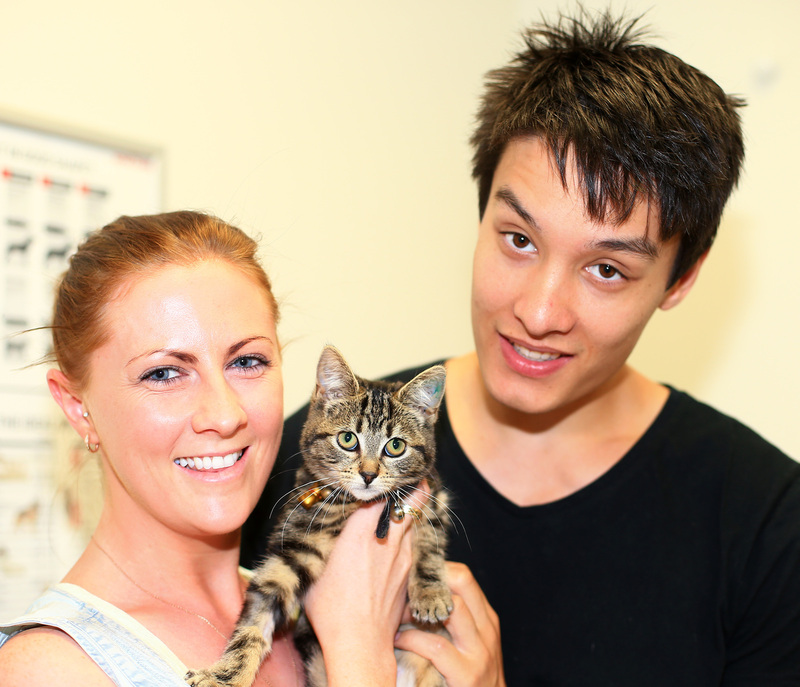 Just this weekend, Kate and her boyfriend Matthew came along to our cat adoptions center at our North Melbourne Shelter after hearing about our Adopt-A-Thon drive through a friend who had adopted a cat the previous week. The pair was fairly confident they would be adopting a cat they had seen online and were eager to meet. That is until they walked by Lucy’s condo. “I was just instantly drawn to her and had to have a cuddle,” said Kate through her beaming smile. 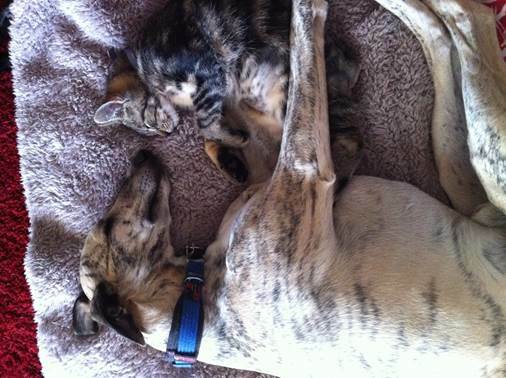 Keen to encourage others to adopt a cat or kitten, Kate has this to say: “I’d love to thank Abby for helping us find our perfect match. Find out how you can help us make a difference and follow our Facebook page for a running adoption tally.